Your vision is important to us, and we want you to learn about our advanced eye care office, our eye doctors, and the services we provide. You deserve the best eye care, and it is our goal to help you see better and look your best in new eyewear or contact lenses. We are pleased to welcome you to our La Mesa, CA office of Optometry! Your vision is important to us, and we want you to learn about our advanced eye care office, our eye doctors, and the services we provide. You deserve the best eye care, and it is our goal to help you see better and look your best in new eyewear or contact lenses. 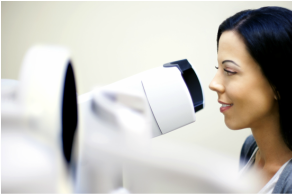 Maintaining the highest quality of vision possible is a very important task for your way of life. Establishing the best strategy to take care of your sight is highly valuable so be sure to schedule a regular eye check up to catch potential issues before they arise. Our staff is excited to work with you on your various eyecare needs. Eye tests and consultations are available for your convenience. Please give us a call at (619) 286-2810 to set up an appointment.